Boss Day? I know what you’re thinking – why exactly would I want to celebrate a day for my boss? They’re in charge! They get more money, have all the authority, gain more respect, and on top of all that they almost certainly order you around. So the idea of celebrating a day devoted to them doesn’t sound very popular. And yet Boss Day is a thing. In fact if you’re reading this you probably already know about Boss’s Day. But for the uninitiated, it’s a day where you show appreciation to your manager in the form of gifts, cards or just a happy greeting. There’s no religious significance and you don’t really get a choice in it either. But, for all the cynicism, you might actually like your supervisor. Not every boss is a harsh taskmaster. Many are kind, helpful and good to work for. If so then you are going to want to send them a touching or heartfelt message on their day. Try these happy Boss Day messages that are perfect in a card, to go with a gift or just to say in person. Your hard work and desire to see us and the company succeed is just the sort of leadership we need. Happy Boss’s Day! You really are a one in a million Boss. Have a wonderful day! I’m so glad to have a boss and mentor like you. Thanks for all the support. 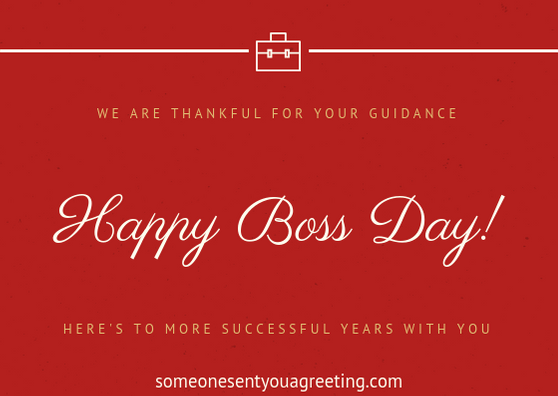 Happy Boss Day! The best part of this job? It’s having you as my manager! If you’re close to your boss then you might want to consider a funny message. Gently making fun of or joking with them on their day is a great way to get your manager laughing. And a boss in a great mood can only be good for the employees! Happy Boss’s Day from your favorite employee! “The customer is always right” must’ve been a typo. 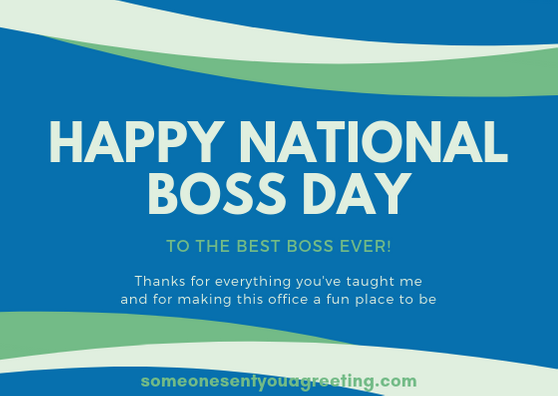 We all know the real quote is “the boss is always right.” Happy Boss Day! If you really think that I am going to go on and on about how great of boss you are… then you are absolutely correct! Your boss may be one who looks out for his employees and goes that extra mile to support them. If so then your your message should come from the heart and show just how much you appreciate your manager. Some people are born to lead, and to you it just comes naturally. Keep doing such a great job! You bring out the best of me and all everyone else who works under you. Thank you and Happy Boss Day! Every leader can be a boss but not every boss can be a leader. You are amazing Boss as well as a leader. An insightful or inspiring quote from someone famous is also a good way of showing your appreciation for a manager. These boss quotes are a good fit for a boss day card or to accompany a gift. 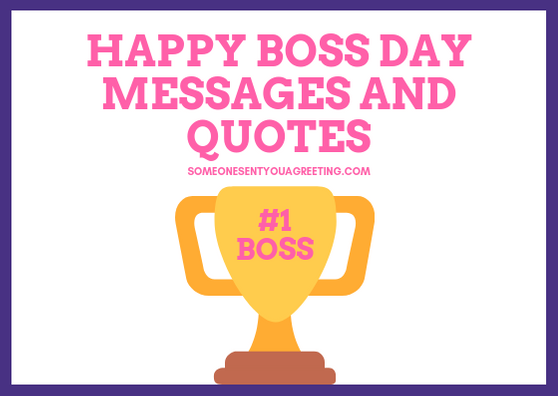 Hopefully these wishes and quotes will have helped you find the perfect message to wish your boss or manager a Happy Boss Day. And don’t forget – Boss Day is 16th October! Write it in your diary and at the least make sure you say a few appreciative words to your boss.